Junk Removal Service And Cheap Hauling Services! Providing Locals With The Affordable Hauling Rates! We Haul Cheap LTD Offers Junk Removal Services In Victoria BC! 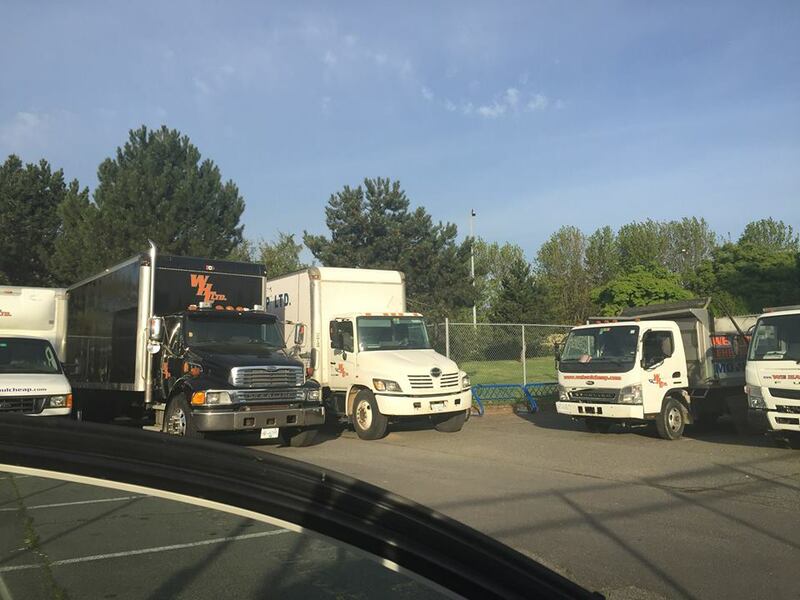 ﻿ In addition to being one of the most highly rated and consistently recommended professional moving services in Victoria BC, we are also one of the best junk removal service companies. Just like our moving services our trash hauling is also priced at a rate you can afford and rely on. The same top quality professionals that you can count on to get your moving done are also available to help you deal with any unwanted items or material that you just can’t get rid of on your own. Simply call us up and provide a brief description of what it is that you need taken care of. We’ll send you some of our motivated and friendly junk removal experts to deal with it in an eco-friendly and time efficient manner. Do you have some old unusable furniture that you just want to be rid of? Have you been doing construction on your house and been left with piles of debris and old materials? Maybe you have some old and heavy appliances that simply do not work anymore taking up your valuable space? Even if it’s just basic compost or trash, no matter what it is you need hauled away we will be there to take care of it quickly and save you the time and effort. A Moving And Hauling Company That Wants To Help! When We Haul Cheap LTD provides you with junk removal service, you can always count on the job being done correctly. That means absolutely nothing left behind for you to deal with once we have been there. We understand that the reason you want to call someone to haul away your trash is so that you won’t have to look at it or think about it any longer, and that is exactly what we can provide. We originally started doing junk removal as a side service for our moving customers, but once we started doing it regularly we realized it was a popular service that we could offer separately so that’s exactly what we started doing. Today it is an integral part of our brand and we are proud to offer full junk removal service both separately and alongside our popular moving services. Regardless of what it is that you need hauled away, you’ve found the right company to get the job done. Contact We Haul Cheap LTD today for a guaranteed enjoyable and easy junk removal experience! Get A Free Quote Today, Click To Call!